Leading ichthyologist, educator, eugenicist, writer. First president of Stanford University. Founding member of the Cornell Delta Upsilon Association. When Jane and Leland Stanford selected the first president for their new university, they turned to David Starr Jordan, president of Indiana University and one of the nation’s most influential educators. When he became president of Indiana in 1885, he became the nation’s youngest university president at age 34. Leland Stanford traveled to Bloomington to personally offer Jordan the position. He served from 1891 to 1913. His influence on Stanford is still felt today: Jordan Hall sits on its main quad, and the university’s motto, chosen by Jordan, is found on its seal. He was one of the world’s leading ichthyologists (study of fish). Jordan was part of the pioneer class of undergraduates at Cornell, graduating with a degree in botany. He obtained graduate education from the Indiana University School of Medicine. In 1925 Jordan was an expert witness for the defense in the Scopes Trial. 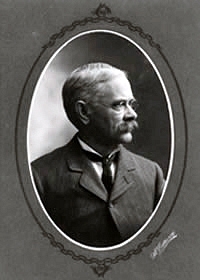 Jordan served as a Director of the Sierra Club from 1892 to 1903. Founded Cornell’s Department of Entomology, the first of its kind in the United States. Comstock Hall was named in his honor. Founding member of the Cornell Delta Upsilon Association. 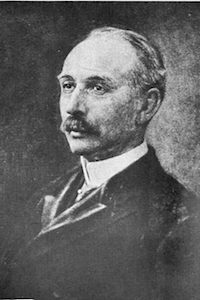 John Henry Comstock (1849–1931) was an eminent researcher in entomology and arachnology and a leading educator. His work provided the basis for classification of butterflies, moths, and scale insects. At the end of his career, Professor Comstock had a dual appointment at Cornell and Stanford. He was one of the dozen or so Cornell professors recruited by Stanford president and DU Brother David Starr Jordan, to teach at the new institution, modeled in many ways after Cornell. Comstock Hall at Cornell was named in his honor. The “old” Comstock Hall was built by New York State for the Entomology Department in 1911 and listed on the National Register of Historic Places in 1984. In the 1980s it was sold to Cornell so that mainframe computers could be relocated from Langmuir Laboratory. As a result, a new, state funded Entomology Department building was named Comstock Hall in 1985, and the historic building was renamed the Computing and Communications Center. Founding member of the Cornell Delta Upsilon Association; leading botanist and preservationist. William Russel Dudley was an American botanist. He headed the botany department at Stanford University from 1892 to 1911. His collection built at Stanford is considered to be one of the most important contributions to knowledge of the flora of California. This became the nucleus of what is now known as the Dudley Herbarium. Dudley became a student at the new Cornell University in 1870, graduating in 1874, and paying his way by milking cows at the university’s farm. 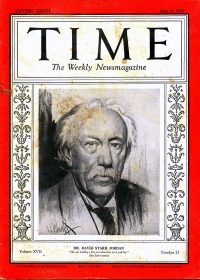 His college roommate was David Starr Jordan, who later recruited him to Stanford. He studied natural history under Louis Agassiz on Penikese Island in 1875. In 1873 he became instructor of botany at Cornell. He was an early forest preservationist, often consulting for US forester Gifford Pinchot, regarding developing national forests in California. He became an activist in the Sempervirens Club, devoted to protecting the coast redwood (Sequoia sempervirens), and was key to establishment of what is now Big Basin Redwood State Park in the Santa Cruz Mountains. Co-wrote Cornell alma mater. Lawyer and judge. 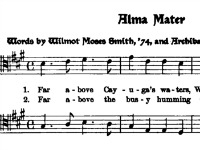 The lyrics of Far Above Cayuga’s Waters were written in the early 1870’s by two Cornell University roommates: Wilmot M. Smith and Archibald C. Weeks. Smith and Weeks used an existing tune, Annie Lisle, for the song. Annie Lisle was written by a Boston musician H. S. Thompson in 1857. The song became the Cornell alma mater. This song is one of the better known alma maters in the United States. It is the only alma mater song included in Ronald Herder’s 500 Best-Loved Song Lyrics. Following Cornell’s lead, the Annie Lisle tune has been the basis for many other college and high school songs. Its most famous performance may have been in A Night to Remember, when a group of Cornellians sang it in Titanic’s bar. Brother Howard was an entomologist noted for his experiments in the biological control of harmful insects and for other pioneering efforts in applied entomology. After completing his studies at Cornell under brother John Henry Comstock, one of the leading entomologists of the time, Howard joined the Division of Entomology in the U.S. Department of Agriculture and was appointed its head in 1894. He served in that capacity until 1927, during which time he came to be recognized as one of the world’s foremost authorities in his field. Howard gained distinction for his taxonomic work; he described 47 new genera of parasitic Hymenoptera (the order of insects that includes wasps and ants) and more than 20 species of mosquitoes. Besides engaging in experimental work on the control of insect pests, Howard conducted research in the area of medical entomology that resulted in the identification of the common housefly as a major carrier of diseases. DU benefactor, builder, civic investigator, and community leader. 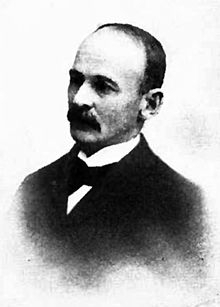 Otto M. Eidlitz, his brother, and his father were prominent builders in New York City and throughout the country around the turn of the century. Their company built many distinguished buildings, including the Lord & Taylor and B. Altman buildings, Metropolitan Opera House, Yale Club, NY Yacht Club, New York Hospital-Cornell Medical School, Presbyterian Hospital, and St. Regis Hotel. 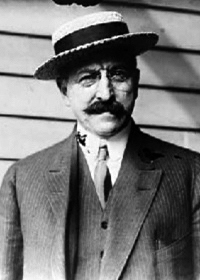 Otto was named Tenement House Commissioner by President Theordore Roosevelt. He held important positions during WWI for which he was honored by the president. Otto was active in public affairs and headed the Engineers Society. The construction firm of Marc Eidlitz & Son, known for its high-quality work, was responsible for many notable commercial and institutional buildings and skyscrapers, as well as private residences of the wealthy in New York City. Marc Eidlitz (1826-1892) was the brother of the noted architect Leopold Eidlitz and the uncle of architect Cyrus L.W. Eidlitz, Leopold’s son. 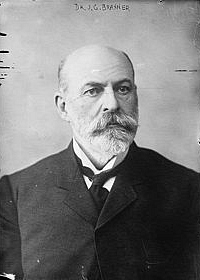 Upon his death in 1892, his son Otto Marc Eidlitz (1860-1928), became president of the construction company, a position he held until his death. Otto Eidlitz had received civil engineering degrees from Cornell University in 1881 and 1890, entering his father’s business after the first, and was made a partner in 1884. Among the later buildings constructed by the firm in New York were the Empire Building, J.P. Morgan Building on Wall Street, American Telephone & Telegraph Building (130 Broadway), and Bankers’ Trust Co. Building (14 Wall Street). Read book about Eidlitz company’s projects. Leading pioneer microbiologist; discovered Salmonella. 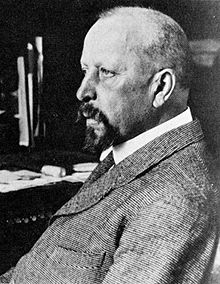 Theobald Smith (1859–1934) was a pioneer epidemiologist, bacteriologist, and pathologist who made many contributions to medical science. He is best known for his work on Texas cattle fever, in which he and his colleagues discovered the protozoan agent and its means of transmission by ticks. This was the first time that an arthropod had been definitively linked with the transmission of an infectious disease. Smith’s first job was at the newly formed Bureau of Animal Industry (BAI) in Washington, DC. Smith also established a department of bacteriology at Columbian University (now George Washington University), where he taught. This was the first department of bacteriology at a medical school in the United States. During his first 2 years at BAI, Smith discovered a new species of bacteria (Salmonella enterica, formerly called Salmonella choleraesuis). Although this genus of bacteria was discovered by Smith, Daniel E. Salmon, Smith’s chief, claimed credit for the discovery, and the genus Salmonella is named after him. In 1886, Smith, collaborating with Salmon, presented the first proof that killed bacteria could be used to induce active immunity in experimental animals. This established the basis for the later development of protective immunization for human bacterial enteric diseases such as typhoid and cholera. The discovery by Smith et al. that insects can transmit disease represents one of the fundamental steps forward that altered the entire course of medical science and public health. It presaged the discovery in the next few years of the insect transmission of trypanosomiasis of cattle (nagana), malaria in 1897, yellow fever in 1900, and typhus in 1909. Geologist, academic, and Stanford’s second president. One of the biggest discoveries found in the DU archives was John Casper Branner’s appointment as second president of Stanford, following another Cornell DU, David Starr Jordan, who brought his fellow DU to Stanford to teach. Branner was an geologist and academic who discovered bauxite in Arkansas. He was chair of the Department of Botany and Geology at Indiana University. Branner grew up on a farm in Tennessee. 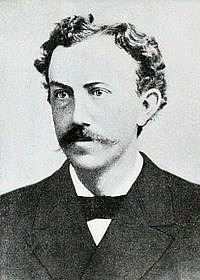 He entered Cornell in 1870. Before completing his university studies, he went by way of Europe to Brazil where he was made assistant on a geological survey and assistant engineer and interpreter for a gold mining company. He returned to the United States but was sent back to South America by Thomas Edison in search of a vegetable fiber for use in Edison’s then newly invented incandescent electric lamp. He graduated from Cornell and then received his PhD from Indiana University where he was made professor of geology. 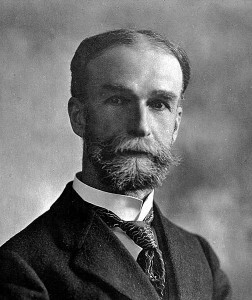 In 1891, he was appointed professor of geology at Stanford University, and in 1913 became the second president of Stanford. A dormitory building and the Branner Earth Sciences Library at Stanford are named after him. Two of his Stanford students were Herbert Hoover and his wife Lou Henry Hoover. Cornell’s first Commandant of the Cadets, recommended for Medal of Honor. Barton Hall was named in honor of his contributions to the university and our country. 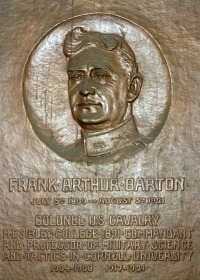 He was one of the first two Cornell students to receive an Army commission. He was and first Commandant of Cadets at Cornell (the forerunner of ROTC) from 1904 to 1908. Barton Hall was erected by New York State and opened in 1917. In January 1940 it was named for Col. Barton. His thirty-year career included tours of duty in the Spanish-American War, the Philippine Insurrection, and the Mexican Punitive Expedition. Additionally, he was recommended for the Medal of Honor. Colonel Barton returned from retirement in 1917 to lead a new unit at Cornell established by the Defense Act of 1916, the Reserve Officers’ Training Corps (ROTC). Pediatrician, medical school professor, and humanitarian. Brother Haynes was a well respected pediatrician and leader in the medical community in New York City. He received his medical degree from Columbia University’s College of Physicians and Surgeons in 1903, interned at New York Hospital was editor of the Magazine of Pediatrics and was an instructor in pediatrics at Columbia. Immediately after World War I Dr. Haynes served as chief of the Children’s Bureau of the American Red Cross in France and as European Director of the Junior Red Cross. For his services the French government awarded him the Medal de la Reconnaissance, as well as the Chevalier de la Legion d’ Honneur and Chevalier du la Merite Agricole. Brother Taussig was named All-American Honorable Mention his senior year for leading the Big Red to 11 wins, with just one loss to Princeton. Cornell outscored opponents 324 to 38. After graduating from Harvard law school, he became a noted attorney in New York. Industrialist, philanthropist, and civic leader. 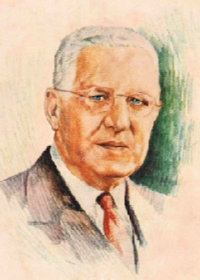 Brother Holliday was president of Standard Oil of Ohio, John D. Rockefeller’s first oil company, from 1928 to 1949 and chairman of the board from 1949 until his death in November 1950. His first position after graduating from Harvard Law School was with the law firm for the Standard Oil interest in the central states. Holliday often took papers to Rockefeller’s Forest Hills home for his signature, thus beginning a friendship that continued until Rockefeller’s death. Holliday was a director of the American Petroleum Institute, National Industrial Conference Board, and National Association of Manufacturers. He arranged for Alonzo G. Wright to become the first African American to lease a Sohio station. He headed the Great Lakes Exposition in 1937 and in 1938 was president of the Cleveland Convention and Visitors Bureau. In 1943 he became president of the Cleveland Chamber of Commerce. Creator of the Hammond Organ. Fascinated with the idea of producing musical tones through electric synthesis, Laurens Hammond developed the first all-electric organ in 1934. It could not get out of tune and was not affected by temperature changes. George Gershwin bought Lauren’s first Hammond Organ. 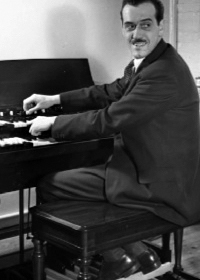 Hammond later developed “Solovox” which could be attached to a piano to produce the sounds of a variety of solo instruments. Other inventions include a barometer, a stereoscopic device, and the “Teleview” which added dramatic sensation of depth to motion pictures. World War II gave Laurens new areas in which to exhibit his technical skill. He helped design guided missile controls or infrared and light sensing devices for bomb guidance, glide bomb controls, an aerial camera shutter, and a new type of gyroscope. The glide bomb was the forerunner of today’s guided missiles, carried on nuclear submarines. Business leader, scientist, and inventor. 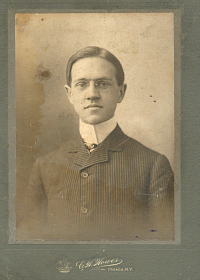 David Burpee attended Cornell until his father, W. Atlee Burpee, died in 1915. Burpee dropped out and took over the family business selling seeds. He immediately began shifting the firm’s focus from vegetables to flowers. In 1917 the W. A. Burpee Company was incorporated with Burpee as president. Burpee initiated a War Gardens campaign during World War I when overseas seed supplies were interrupted and there were food shortages. These programs were aimed at city folk, teaching them how to grow food during shortages by buying Burpee seeds. During the 1930s the company started a cross-breeding program to produce healthier and more disease-resistant hybrids. 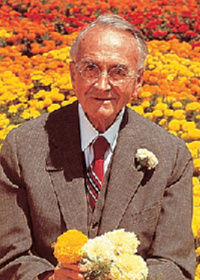 During the 1940s, Burpee moved on to genetic engineering, altering flower chromosomes using the chemical colchicine extracted from crocus plants. By 1959 Burpee had grown his father’s company into the largest seed catalog mail order house in the world with sales over $6 million, equal to $47,835,616 today. Morse Dial was president, chairman and chief executive officer of the Union Carbide Corporation. Dial’s career at Union Carbide spanned 34 years, starting as a sales supervisor in 1929 dealing principally with chemicals and plastics. 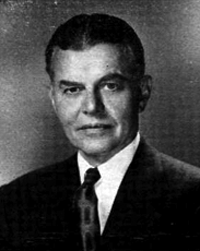 After moving to the finance department, then being named corporate secretary-treasurer, Dial was president and chief executive office from 1952 to 1958. He was named Union Carbide’s chairman in 1958, and retired five years later in 1963. Dial then served on the board until 1968 and remained a director of the company until 1968. The Chicago native moved to North Dakota as a child. He was graduated from Cornell University after studies in mechanical engineering. Dial served as a naval aviator in World War I, and reached the rank of ensign. 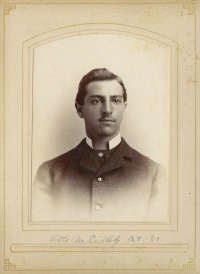 At Cornell, Morse Dial was a member of Quill and Dagger. Named a partner of Smith Barney in 1950, Brother Schaenen was elected its president and CEO in 1964. Schaenen joined Moody’s Investor Service in 1929 before moving to Smith Barney in 1944. 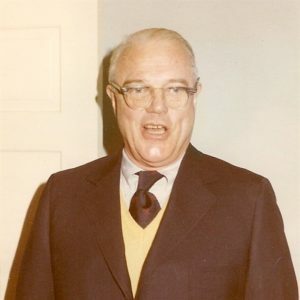 After his retirement in 1968, he served as chairman of the Private Export Funding Corporation, which had just been formed to tap private capital for financing United States exports. In the 1940s and 1950s, Schaenen owned and operated a farm, where his son Nelson Schaenen, Jr. ’50 did chores growing up, including before and after school. From 1966 to 1975, he was chairman of the advisory council of the Cornell University Graduate School of Business and Public Administration. 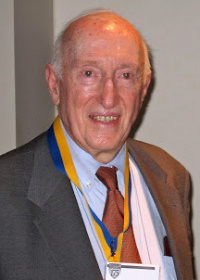 Brother Schaenen was a long-serving director of the Cornell Delta Upsilon Association. World’s greatest practical joker and artist. Hugh Troy was most well known for his pranks but he was also a successful US painter. Troy was a son of a Cornell University dairy professor of the same name, and both father and son were members of the Quill and Dagger society. 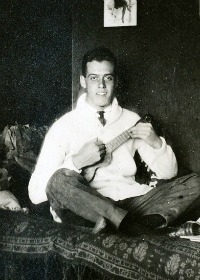 Troy attended Cornell as an architecture student from 1922 to 1927, although he was suspended without receiving a degree due to a particular joke that offended the administration. His practical jokes on campus, in Ithaca, and in NYC became famous. After serving in the military in World War II under Gen. Curtis LeMay, Hugh made his living as an illustrator for books and magazines, authoring three children’s stories. He died in 1964. 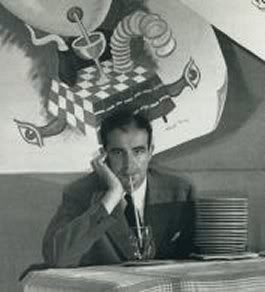 When I sent to Cornell in 1940, I joined a fraternity (Delta Upsilon) which had murals by Dr. Seuss in its basement bar. He had drawn them in pencil long before my time. An artist in the fraternity made them bold and permanent with paint afterword. Dr. Seuss was a Dartmouth man and not a Delta Upsilon, but he drew the murals while roistering in Ithaca with a painter pal, Hugh Troy, both a Cornellian and a DU. Read more about Brother Troy. Cornell chapter’s greatest supporter and advisor, leading executive recruiter and fraternity leader. Bertel “Bert” Antell’s involvement and dedication to the Cornell Chapter was legendary, spanning more than 50 years. In that time he served as chapter president, as a director, officer, president and chairman of the board of the Cornell Delta Upsilon Association. He also was president of the Cornell Alumni Interfraternity Council. He served as vice president of DU International and later named emeritus vice president. 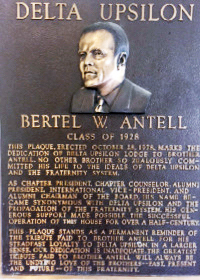 In 1978 the chapter house at 6 South Avenue was dedicated to Bert Antell. Antell was nationally known as one of the leading specialists in executive recruitment, and from 1942 to 1946 he was assigned by the Navy to be chief of personnel procurement for the Office of Strategic Services. He had worked in personnel capacities at New Jersey Bell Telephone, R. H. Macy, the Equitable Life Assurance Society and American Cyanamid before joining the Navy during World War II. Following the war he was director of personnel for Gulf Oil Corporation, becoming a partner in the firm of Sorzano, Antell & Wright in 1950. He founded Antell, Wright, and Nagel in 1960. Brother Kiplinger is an American journalist and businessman and son of W. M. Kiplinger, the founder of Kiplinger Washington Editors, publishers of The Kiplinger Letters and Kiplinger’s Personal Finance Magazine. From 1961 to 1992, Kiplinger helmed the Kiplinger Company. As a student at Cornell, “Kip” worked as the Cornell campus stringer for the Ithaca Journal and wrote stories about the 1936 Presidential Election that were picked up by the Associated Press. Besides DU, he was a member of Quill and Dagger, Telluride house, and Phi Beta Kappa. Thereafter, he attended Harvard University, studying economics. Kiplinger embarked on journalism full-time in 1940 with the San Francisco Chronicle. He assisted his father with writing the 1942 book “Washington is Like That.” Following a stint in the U.S. Navy during World War II, he helped his father found the publication now known as Kiplinger’s Personal Finance, first published in 1947, before relocating to Chicago in 1948 to work as a columnist for the Chicago Journal of Commerce and political newscaster for networks ABC and NBC. In 1956, he returned to Kiplinger Washington Editors. In 1961, he succeeded his father as editor-in-chief of the Kiplinger Letters and Changing Times. The magazine is the longest continually published personal finance publication in the United States. 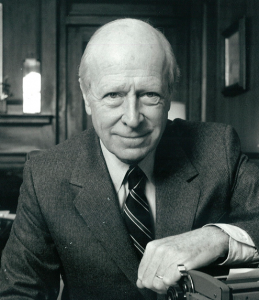 Kiplinger is chairman emeritus of the Cornell University Board of Trustees and a trustee or past trustee of the National Symphony Orchestra, the National Press Foundation and Federal City Council, among other civic commitments. Brother Schaenen served on the Cornell University Board of Trustees for a quarter of a century, during which time he chaired the executive committee (1983-95) and the investment committee. He was managing director and partner of the investment firm Weiss, Peck & Greer. Since 1996 Schaenen has served as Presidential Counselor and Trustee Emeritus. He also is chair of the S.C. Johnson Graduate School of Management’s Endowment Fund and member of its advisory council. In 2016 he received the Samuel C. Johnson Distinguished Service Award for his lifetime, sustained and exemplary commitment to the school. One the chapter’s most distinguished, loyal and generous alumni, Schaenen served as director and president of the Cornell Delta Upsilon Association, and president of the Justice Foundation. He is a recipient of the DU International Distinguished Alumni award. Gary Fay Wood (1942–1994) was a quarterback in the National Football League from 1964 until 1969. 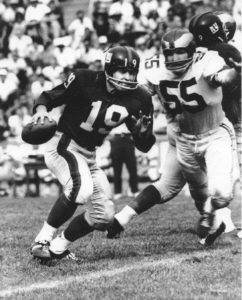 The New York Giants drafted the 5′ 11” quarterback in the eighth round of the 1964 NFL draft. Wood was inducted into the Cornell Athletic Hall of Fame, New York State Hall of Fame and the National Jewish Sports Hall of Fame. 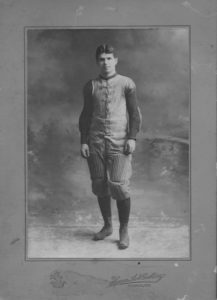 Wood had an outstanding career at Cornell. 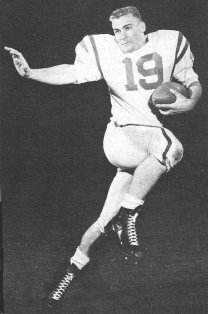 As a quarterback in 1962, Wood was third in the nation in total offense (1779 yards) and fourth in the nation in rushing (889 yards). In 1963, he was first in the nation in kickoff return yardage (618 on 19 returns for a 32.5 average) and eighth in the nation in rushing (818 yards). He set five major Ivy League records: career total offense (3457 yards); career rushing (1867); single season total offense (1616 yards in ’62); single season rushing (813 yards in ’62); single game total offense (387 yards vs. Penn in ’62). In 1962 and ’63, he was the Ivy League’s total offense and rushing leader. In 1963, he was named to the Associated Press to its All-East first team. The AP named him to its All-Ivy first team all three years. Wood also set Cornell records for career total offense (4047), single season total offense (1779) in ’62; career rushing (2156); single season rushing (889 in ’62); single game total offense (387 vs. Penn in ’62). 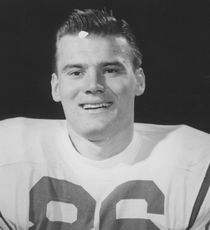 Wood also played for the New Orleans Saints and in the Canadian Football League for the Ottawa Rough Riders. Brother Wood died in 1994 at the age of 52. The first soccer-style place-kicker in both college and pro football, brother Peter Gogolak set a national major college record of 44 consecutive kicking conversions from 1961 though ’63. Overall his conversion record was 54×55 for his three-year varsity career. His 50-yard field goal vs. Lehigh in 1963 was the nation’s longest in a major college game. After graduation he starred with the Buffalo Bills and the New York Giants, setting the Giants’ all-time scoring record. He was the first player to switch from the American Football League to the National Football League, sparking the “war between the leagues” and the subsequent AFL–NFL merger. He and his family fled Hungary following the revolt in 1956. Gogolak began working at RR Donnelly after his retirement from the NFL and served more than 40 years as the vice president of sales. In 1984 he was selected to the Buffalo Bills Silver Anniversary Team. In 2010 the New York Giants added him to the team’s new Ring of Honor in MetLife Stadium. He is also a member of the American Football Kicking Hall of Fame. In 2015 Pete and his brother Charlie were honored as the National Football Foundation’s Outstanding Contribution to Amateur Football Award Recipients. He is one of six Cornellians to be honored by the Ivy Football Association for his distinguished career after football. See video about Pete’s and his brother Charlie’s careers. Brother Ring served as Chairman and Chief Executive Officer of CR Bard Inc. from 2003 until 2017. He is one of six Cornellians to be honored by the Ivy Football Association for his distinguished career; at the Cornell Class of 1979’s 25th Reunion, he was named a Distinguished Classmate. At Bard, Ring previously served in several leadership roles including corporate vice president, group vice president of Bard International and group president of product divisions. 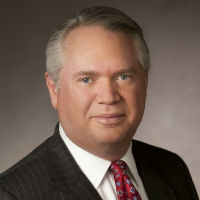 He currently serves as director of Becton, Dickinson and Company and Quest Diagnostics Incorporated. 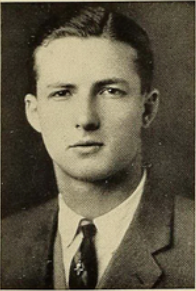 Throughout his career, Ring has dedicated his life to serving his alma mater, his community, and his industry: a member of the Cornell University Council, Ring is a generous benefactor of the football program, School of Industrial and Labor Relations, Cornell Football Association and Delta Upsilon. He currently serves as co-chair of the Raising Our Game Capital Campaign. In addition, Ring has served on the boards of various health care and business organizations, including the New Jersey Health Foundation, Advanced Medical Technology Association, National Association of Manufacturers, and the Healthcare Leadership Council. He is a former chairman of the Board of Trustees of the HealthCare Institute of New Jersey. With his wife Kathryn Gleason, Brother Ring co-founded TEAMFund, an organization dedicated to expanding expand access to medical technologies for the world’s poorest and most resource-constrained populations.